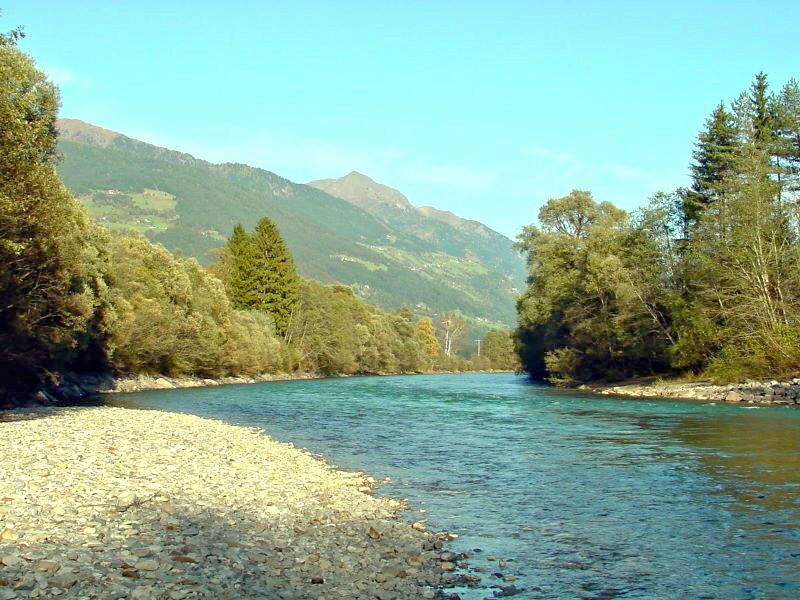 The Glocknerhof fishing waters are located on one of the most beautiful parts of the upper Drau. It stretches from the Draubrücke (bridge) in Berg im Drautal, on both sides of the river, down to the St. Athanasius Church (5km of riverbank), and is easily reached on foot, with a bicycle or a car (2 km from the hotel). Fishing licenses are given exclusively to hotel guests and cost € 100.00 for up to 3 days and € 150.00 for the whole duration of your stay. The waters and landscapes of the Glocknerhof are looked after with love and care. 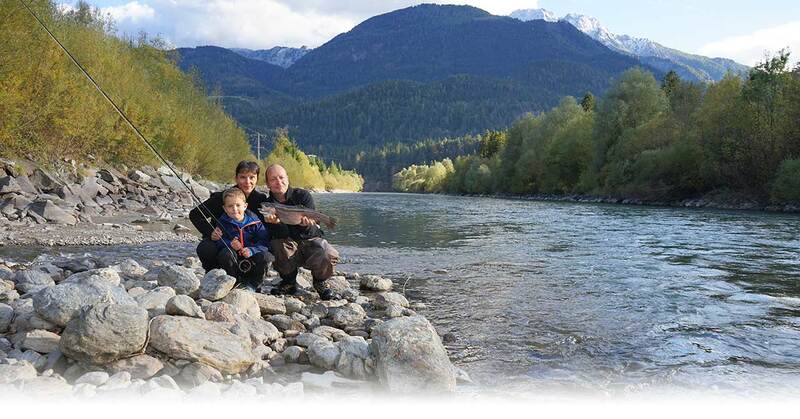 We offer all that is required for sport fishing, from immaculate sandbanks, gravel and stone beaches, to streamlets and newly formed river tributaries, which are especially alive in the spring and autumn. 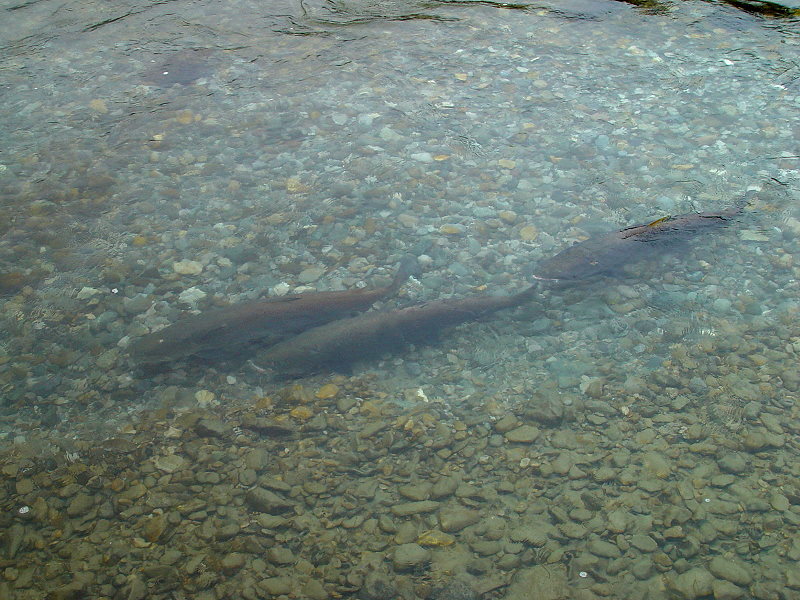 You’ll find rainbow and river trout of magnificent size in the Drau, as well as whitings, graylings, tench and nose-fin. 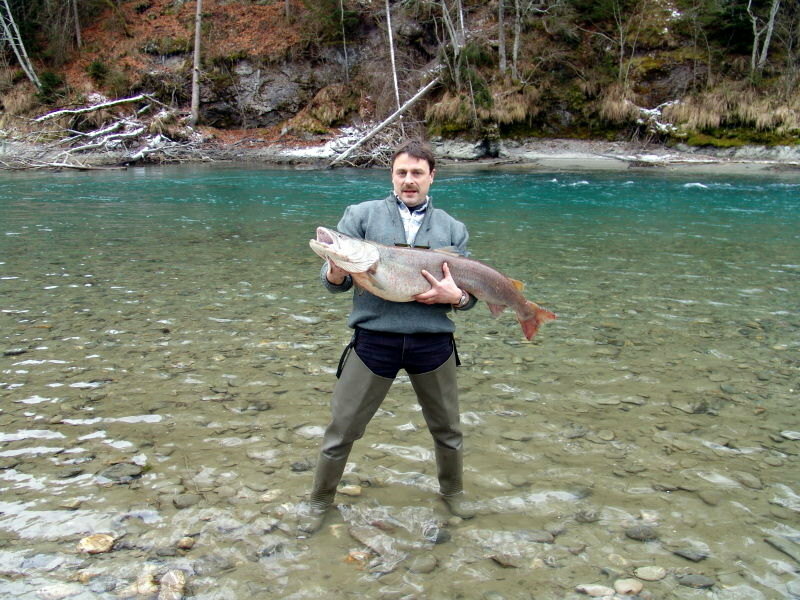 Huchen (Danube salmon) are a special rarity, that is found nowhere else in Central Europe. For equipment, we of course accept fishing rods, and natural or artificial bait, blinkers, wet and dry flies for moderate use. 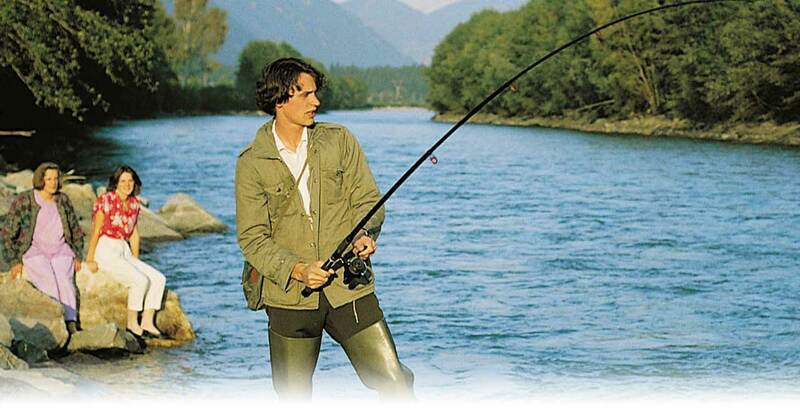 There are of course times when the Drau is at high water and its hard to fish in, for example when the snow melts or over prolonged periods of rain. If you want to assure yourself that conditions are ideal, then please call in advance and ask about the water level. We’ll gladly give you the information! 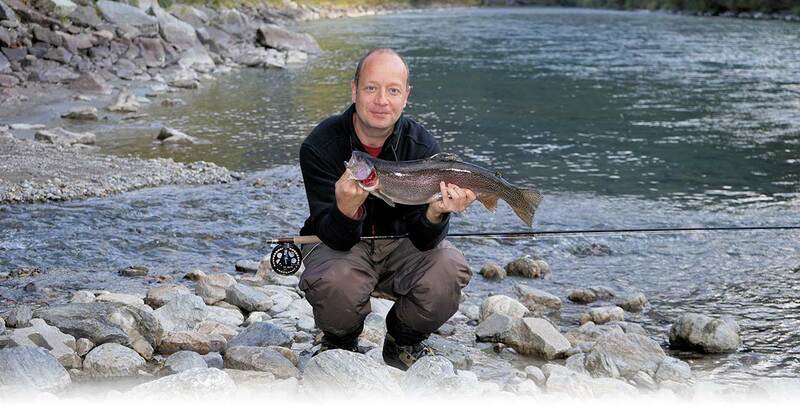 You can book your angling tickets at the same time as your holiday when you book online, or send us an enquiry. You will find information here on rooms, prices and facilities. 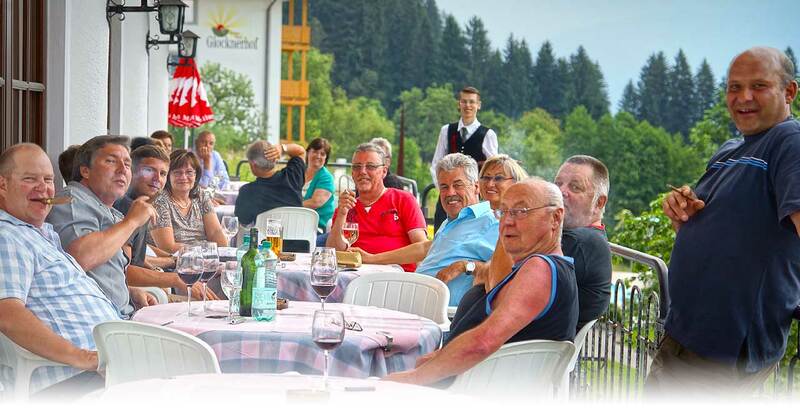 An alternative fishing location is the Weissensee (lake), where day passes are sold starting at € 20,00. 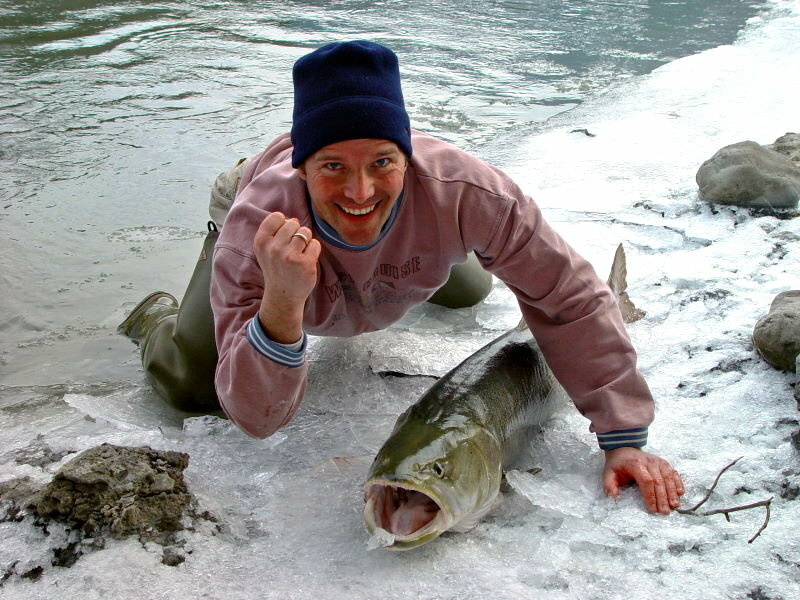 There are salmon, lake trout, pike, pikeperch, tench, carp, and white fish in the lake. The fish aren’t as eager to bite here as in the Drau though.